The SGM-250 from Azden is a supercardioid, dual-power, broadcast-quality shotgun microphone that can be used in various environments to capture audio to camcorders, DSLRs, recorders, and more. The SGM-250 features a 20 Hz to 20 kHz frequency response and a two-step low cut filter. The mic is built with a rugged all-metal barrel and has tightly spaced vertical slots along the tip to provide side and rear rejection. In addition to the dual-power design, a status LED indicator is provided to monitor the AA battery (1.5V) or phantom (48V) power source. 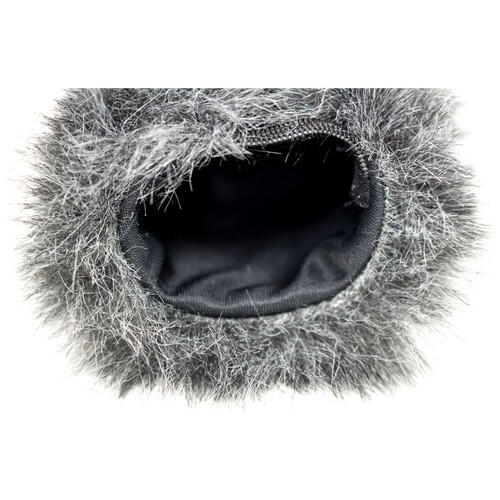 The mic includes a gold-plated XLR output, and comes with a shock-mount holder, a foam windshield, and a zippered carrying case. The FMX-22 Portable Field Mixer by Azden is a lightweight 2-channel battery-powered solution for any remote audio application. It features 2 XLR microphone inputs with individually switchable phantom power and two gain stages. Each channel of the FMX-22 has a volume control, a 3-way (left, right, center) pan selector, and a limiter on/off switch. A master volume control and dual 5-segment output level indicators help maintain optimal signal strength and prevent clipping. 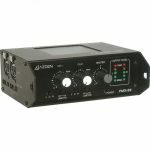 The FMX-22 has balanced XLR outputs in addition to an 1/8″ TRS stereo output. A 1/4″ headphone output with an independent volume adjustment allows you to comfortably monitor your signal. The SGM-PDII Professional Shotgun Microphone from Azden is designed to improve the audio quality on video cameras. The SGM-PDII fits into standard 21mm clamp mount fixtures, however size adjustment rings are included for a snug fit in any clamp mount. 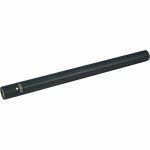 The microphone is an ideal choice for use with Ikegami, Sony and Canon cameras, and features a 12.99-inch cable and velour windscreen. 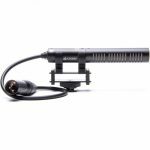 The black Rode NTG3 Shotgun Microphone is a professional shotgun microphone that delivers a few unique qualities in order to meet the demands of today’s broadcast audio engineers and boom operators. 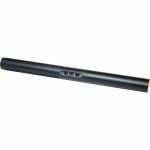 The microphone features radio-frequency (RF) interference properties that avoid annoying noise and interference caused by nearby RF sources such as radio antennas, WiFi networks, internet devices, power lines, etc. The microphone is also built to withstand the rigors of adverse weather conditions.